Micron Phase Change Memory is a ground breaking new memory technology from global semiconductor innovator Micron Technology. When perfecting it, the development team partnered with XJTAG to create a solution suitable for programming in production or in the laboratory. XJTAG drew on XJFlash, its successful Flash-programming solution, to program PCM at the highest possible speed. PCM is a compelling new memory technology that combines the best attributes found in NOR, NAND and DRAM. Because PCM is a new technology, it is imperative that we build a strong ecosystem of support to further customer adoption. We are pleased with the work XJTAG has done in building a programming solution, enabling PCM to be easily deployed in a production environment. 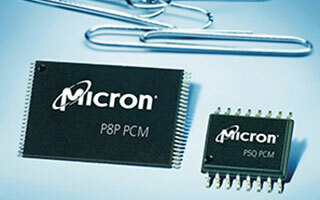 Micron Phase Change Memory (PCM) is an innovative new non-volatile technology capable of matching the best read and write performance of alternatives such as NAND/NOR Flash, DRAM, and EEPROM. It has low read latency, similar to NOR Flash, and matches the read bandwidth of DRAM. The write speed is comparable to that of NAND Flash, with the added advantage that no separate erase cycle is required.